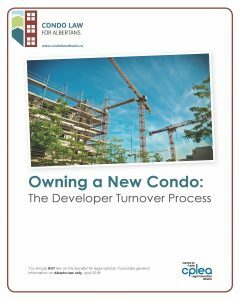 This booklet will provide an overview of the turnover process and a checklist of documents that the developer must provide to the first elected board. 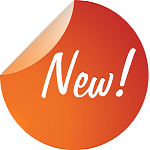 deposits, occupancy fees and other potential issues that may arise (for example, purchase agreement cancellations, changes in construction and move in delays). 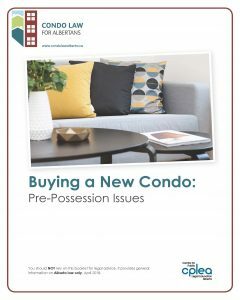 Before you buy a new condo in Alberta, you need to do your homework by reviewing documentation about the condominium development. 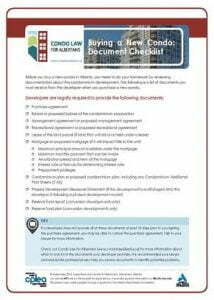 This tipsheet is a checklist of documents that the developer must provide when you purchase a new condo. 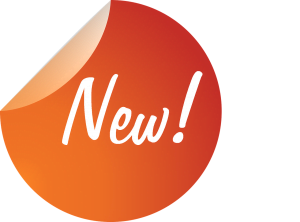 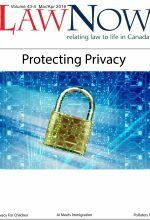 See: https://www.cplea.ca/publications/condominium-law/ for all CPLEA’s condo law publications.